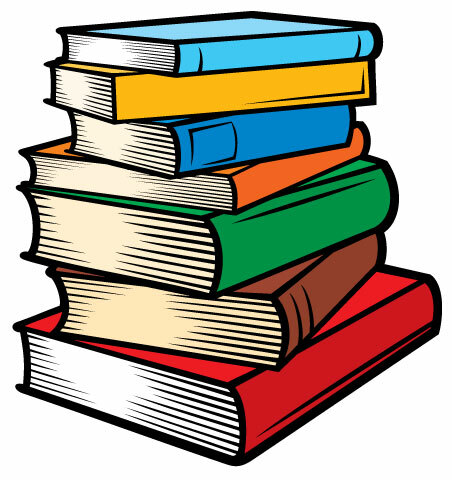 Standard: Children demonstrate interest in and comprehension of printed materials. 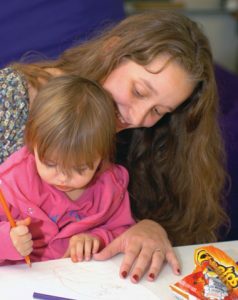 Early Literacy includes both spoken components and written forms of language.1 Children develop early literacy skills through their everyday interactions with their caregivers. These include singing, rhyming, and reading books together. Young children explore books though looking, mouthing, and touching them. They “read” books by simply moving books around or turning pages. These early experiences are the beginning of reading and writing for young children and influence the development of their literacy skills. During the second year of life, children show an increased interest in books. They point to certain pictures, and initiate reading together by gesturing to a particular book. 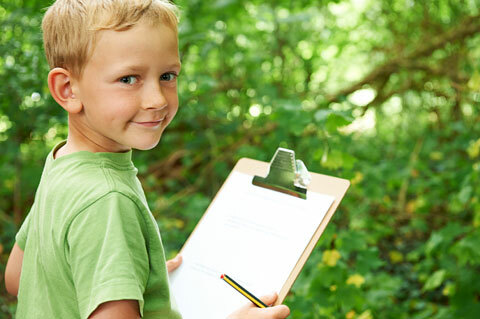 Children identify pictures of certain objects that they are familiar with and name them. Children also become aware of print that is found in their environment. This includes magazines, newspapers, signs, and symbols. Scribbling and drawing also happen during the end of the second and throughout the third year. Opportunities to hold writing utensils, scribble, and draw help children develop their pre-writing skills. Children begin to build the foundation for early literacy by exploring printed materials and building a capacity for reading printed materials. Children become participants as they actively engage in literacy activities with printed materials. Children begin to demonstrate an understanding of printed words and materials. Sam is 32 months old. He is sitting in his Uncle Steve’s lap and together they are looking at an electronic reader. Steve is reading an electronic book to Sam, while Sam follows along, looking at the images on the screen. Steve says, “Look, Sam, do you see the turtle?” Sam nods his head, points to the image, and says, “Turtle!” Steve moves his fingers over the screen to turn to the next page. Sam begins to attempt the same action over the screen. Steve stops reading and asks, “Do you want to try to turn the page?” Sam nods his head and attempts again. He is successful and claps his hands when he is finished. Steve exclaims, “Yay! You did it!” matching Sam’s enthusiasm. They continue to read the story and Sam turns all the pages on the screen for Steve. Sam interrupts Steve a few times to point to an image and names what he is pointing to. When they reach the end of the story, Sam says, “More book” to Steve. Steve nods and begins to read another brief story. Sam sits back in Steve’s lap and listens. Steve gets to a point in the story where there is a lion’s roar. Sam leaps up and begins to crawl on the floor, roaring. Steve puts the electronic reader aside, and begins to crawl on all fours with Sam. Sam laughs and chases Steve around the room. Sam and Steve are engaged in the same manner as they would be if reading a regular book. Steve makes sure to allow Sam to lead the interaction, and follows his lead throughout. He supports Sam’s fine motor development and eye-hand coordination by letting him flip the pages, using his finger and wrist in a specific way, and genuinely praises Sam when he is successful. Steve is also aware of when to stop the interaction with the electronic reader and does, once Sam disengages. 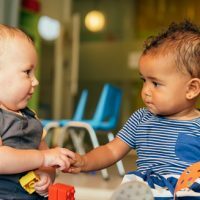 They then transition to a different interaction in which they are engaged in creative movement and pretend play, building upon the story they just read. 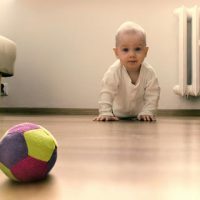 The American Academy of Pediatrics (AAP) recommends that children under two years of age not engage in any screen time and that those older than 2 watch or engage with no more than one to two hours a day of quality programming. Tallal, P. (2000). The Science of Literacy: from the Laboratory to the classroom. PNAS: Proceedings of the National Academy of Sciences, 97(6), 2202–2222. Reprinted from: Erikson Institute WebCT. Technology and Interactive Media as Tools in Early Childhood Programs Serving Children from Birth through Age 8. (2012). 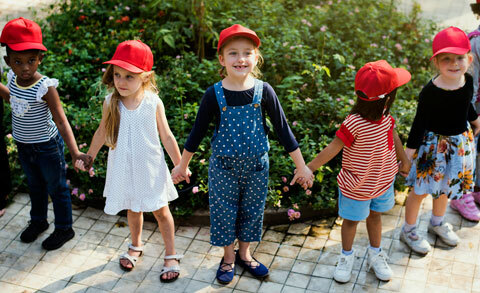 Joint position statement issued by the National Association for the Education of Young Children and the Fred Rogers Center for Early Learning and Children’s Media at Saint Vincent College.